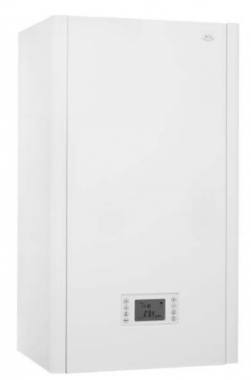 The WH80 is a Combi gas fired boiler which is both wall mounted and uses condensing, high efficiency technology to deliver an A rated efficiency level of 90.3%. This model has an output rating of 25kW. This boiler comes with a wide range of features including an innovative low energy consumption, a large digital visible temperature adjuster. The touch controls are user friendly to give you the maximum control over your boiler. Other key features include an integral valve kit helping to eliminate unsightly valves outside of the boiler and a built-in deep seal condensation trap which helps to keep your boiler protected through the cold months when you need your boiler most. The unit also features a flexible condensate pipe which is located after the tap for convenience and a manual and automatic air vent helping to allow air out of the system more easily. This boiler is extremely quiet while in operation due to its high density foam lining which helps to keep heat in as well as reducing noise. This boiler has removable side panels, a built-in automatic bypass and is in the best class (5) for low emissions. It also includes weather compensation and is solar compatible. This unit is a lightweight and compact boiler allowing for a quick and easy installation which should help you to save even more money. A 5 year warranty is included as standard for your peace of mind.